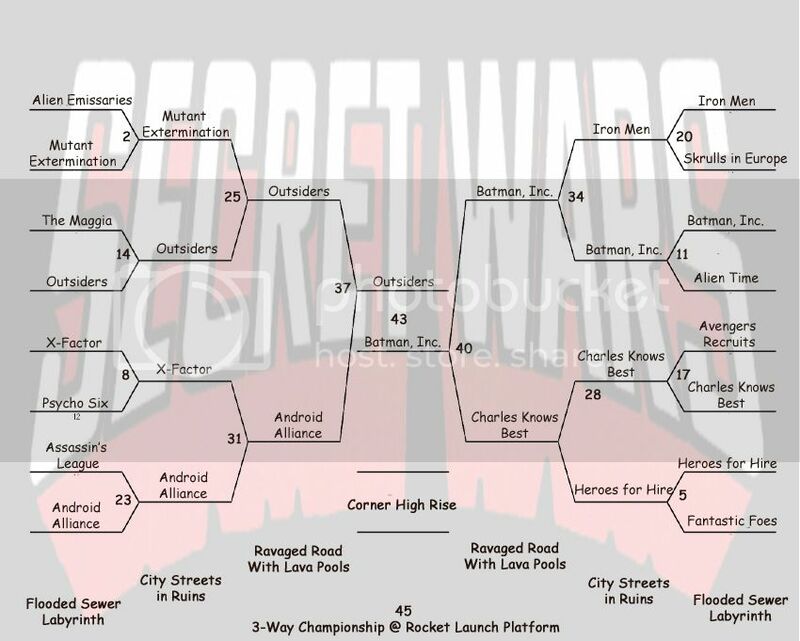 Secret Wars 2013 - Batman, Inc. Wins Championship! C3G's Secret Wars gives Heroscapers a chance to win C3G Prizes. C3G figures have been sorted into 47 armies. From there, they've been randomly placed into a 47-team single elimination tournament bracket. After a final 3-way championship battle a champion will be declared. However, before the tournament begins, Heroscaper participants will have an opportunity to submit a Secret Wars submission form by predicting the winners of each of the 45 battles. The battle number is listed with each matchup on the bracket. Additionally, you may choose to endorse one hero or squad that you believe will not be destroyed in their respective battle. For each accurate prediction a Heroscaper will receive one point. As a result, a Heroscaper may earn up to two points per battle; one for an army prediction and one for a Hero/Squad endorsement. You must make a prediction for all 45 battles before the tournament begins; it's going to be tough. There's a limit of one submission form per Heroscaper. Please, send your submission to Hellfire via PM or simply post it to this thread. If there are any questions, just ask . BYE - We are the Corps! Battle 3 - Sinister Seven? Battle 11 - Batman, Inc.
Battle 22 - Fantastic 4, Party of 9? Battle 29 - We Are the Corps! Battle 30 - Fantastic Four, Party of 9? Battle 34 - Batman, Inc.
Battle 36 - Fantastic 4, Party of 9? Battle 40 - Batman, Inc.
Battle 41 - We are the Corps! Battle 42 - Fantastic 4, Party of 9? Battle 43 - Batman, Inc.
Battle 45 - Batman, Inc.
Last edited by Hellfire; April 8th, 2013 at 08:50 PM. 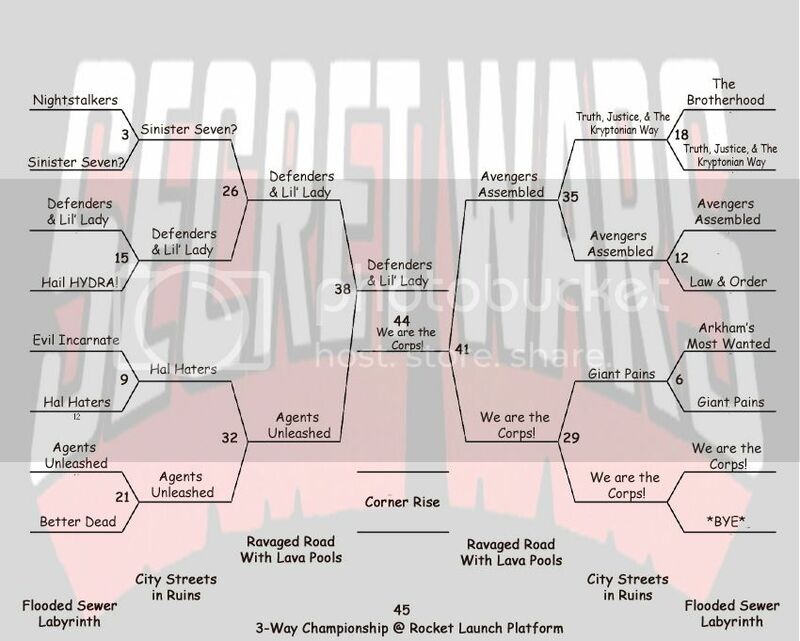 Re: Secret Wars 2013 - Win C3G Prizes! During each battle, all C3G optional rules will be used, as applicable. Round 1 - Flooded Sewer Labyrinth - Swamp water tiles will be replaced with water tiles. Water tiles will be replaced with shadow tiles. Round 2 - City Streets in Ruins - One building edge/wall will be replaced with a long ruin. Round 3 - Ravaged Road with Lava Pools - Six molten lava tiles will be added in place of water tiles. Round 4 - Corner High Rise - No changes will be added. Round 5 - Rocket Launch Platform - Six random glyphs will be added. April 7 - FINAL BATTLE!! Last edited by Hellfire; April 7th, 2013 at 04:59 PM. Um being new here I'm not sure how this works. Could someone please explain? This contest is even newer than you are; you know approximately just as much as the rest of us. It's just a tease for now ... but since you asked, in the coming days each the armies is going to be revealed along with a bracket. 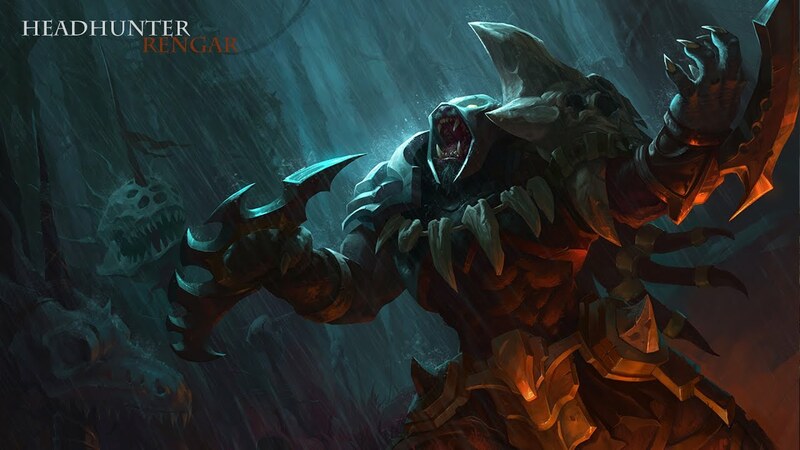 C3Gers will then be able to submit predictions for the winners of each of the battles. As the weeks progress battle reports of the secret battles will be posted displaying the results. Those who are very good at making accurate predictions will win some C3G stuff. Official rules, forms, etc are still forthcoming. Oh so that is what the C3G draft cards are for? Well, not really, no. C3G Draft Cards were created to allow a fun format where you shuffle the cards and give 1 to each player randomly to determine their army. In this case, Hellfire created all of the armies himself I believe.